King Harald is almost done. I finished the fun part, the knitting, last Thursday and was left only the dreaded task of weaving in all the ends before washing and blocking. Yesterday I worked on King Harald again, and got another quarter finished. Hooray! I’m halfway there! Weaving in the ends is really rather meticulous work. 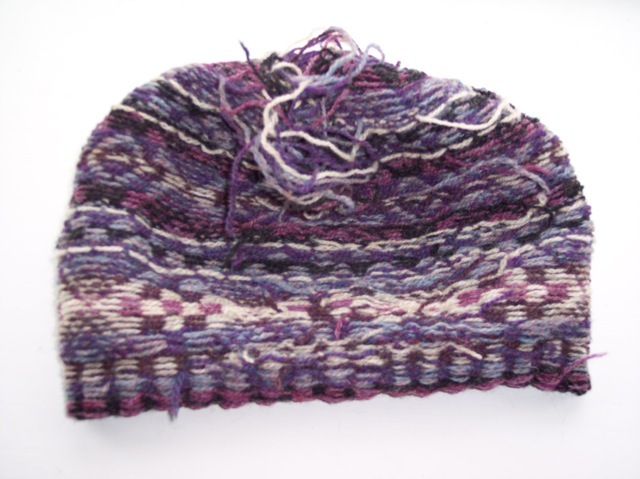 One must take care that the woven-in ends don’t show through on the public side of the hat and that the gap between the rounds is closed with as little a jog as possible. For you non-knitters, I will explain what the latter means. When knitting in a circular fashion, you are actually knitting a spiral, so, when you change colors, they don’t line up perfectly at the beginning/end of the round. Think of the stripes on a barber pole and you should get the idea. 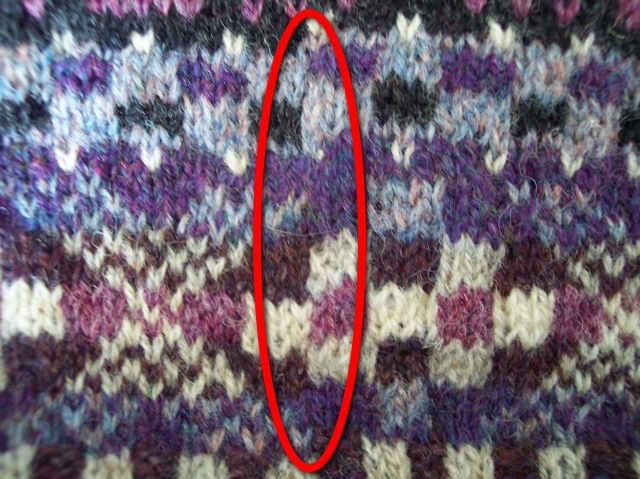 When weaving in all the ends on a piece of Fair Isle knitting or other stranded colorwork that has been knitted in the round, how you position those ends can make a difference in how noticeable the jog is. 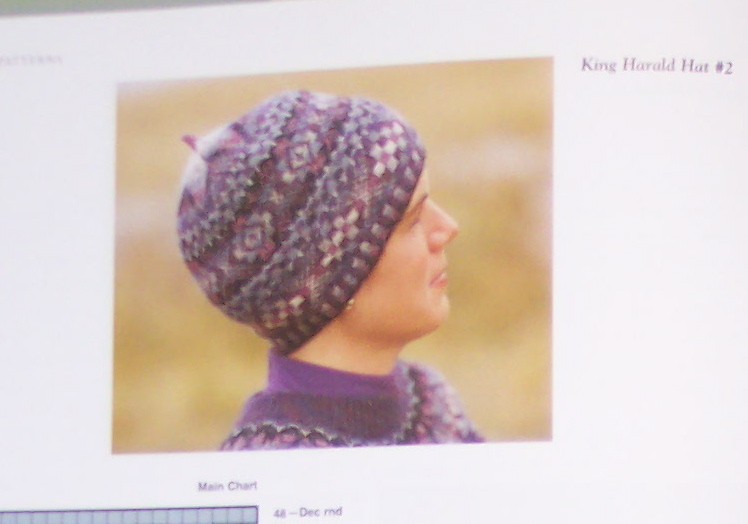 I’m very please with how the join in my King Harald’s Hat is turning out. I circled it in red because otherwise, you’d probably never find it. Yeah, it’s that good, if I do say so myself. The jogs barely show. Shetland yarn is very forgiving. I’ll work some more on the ends tonight. Who knows? Maybe I’ll even get them finished. If not, I’ll finished them up tomorrow night. In the meantime, I have been working on Kinsale again, and making great progress. Kinsale doesn’t look like it would be mindless knitting, but it is.